It’s interesting how the smallest moments can have such an impact on our lives. Sometimes we will forget big things, but will remember the smell of a grandparents’ home. If you know me, you know I love holidays, love traditions, and love making memories with the people I love. I talk a lot about the importance of tradition in my life…but there are so many people and events who have made my traditions what they are. I have MANY Halloween memories. Trick or treating, my mama making me amazing home made costumes (the photo is of a home made “Snow White” costume mama made me), and eating so much chocolate I go into sugar shock. But one thing that not many people know is that Halloween always makes me think of my biological father. It’s weird, because I don’t even have memories of spending any halloweens with him. The reason this holiday makes me think of him, is because of a Halloween card he gave me when I was in elementary school. 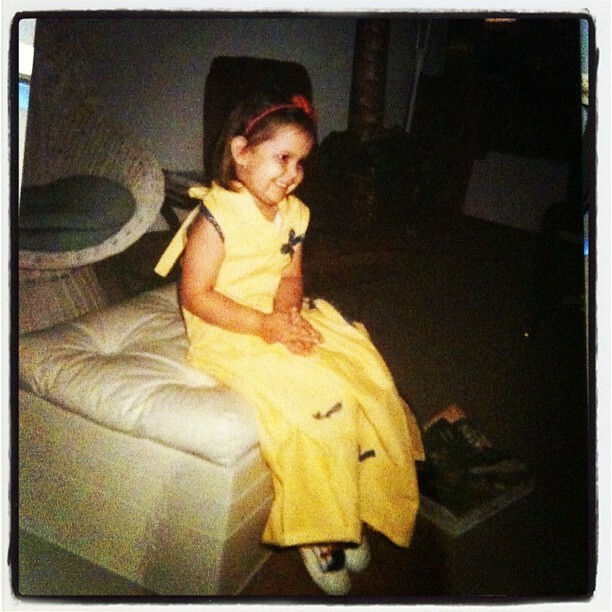 I was a little girl, and was easily amused. I thought the slightest technology was AMAZING. This was back before greeting cards were really hi-tech. He sent me a Halloween card, and when I opened it, it played a spooky song. It made me laugh and smile so much. I remember opening it and shutting it over and over again. Sometimes I would even keep it next to my bed and listen to the song because that was the closest thing to him I had. I still have that card. Silly, I know. It’s so interesting to me how such little things have been so engraved into my mind. Little things like songs and cards are so important to me to this day. I wonder sometimes if he knows that. If he even knows that the VERY little role he played in my life had an impact on me. He wasn’t father material. Isn’t father material. And I don’t think he ever wanted to be. But I’m thankful for that card. It was the only gesture he knew to do, but I appreciated it. God has blessed me so much with my real dad who chose me. My parents always gave me the most amazing holidays, and I love this time of year because I can reflect and remember all the people who make up how I view my holidays.